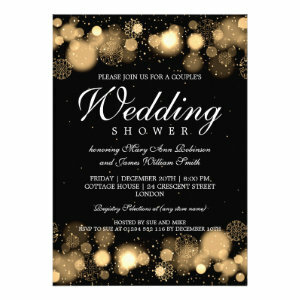 If you are looking for some elegant winter couples wedding shower invitations, then you are in the right place. 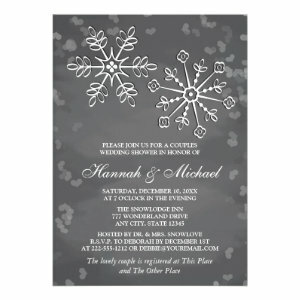 Here you can find many classy wedding shower invitation examples, which suit perfectly any winter themed event! 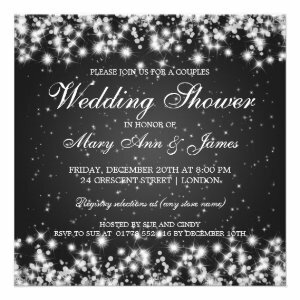 These beautiful Winter Couples Wedding Shower Invitations are the perfect way to get your celebrations off to a great start. 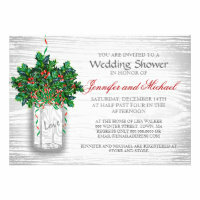 Filled with lots of elegant festive designs which suit lots of different party themes and styles. With snowflakes, reindeer, floral designs, and plenty of winter sparkle. Ideal for lots of different party styles and themes no matter what size. Bridal showers have become a very popular party idea but they are only for the bride-to-be, normally guests will shower the bride-to-be with gifts just for her. 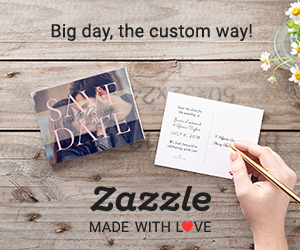 This day and age couples wedding showers are becoming an extremely popular way for family and friends to give the couple gifts to share or for their house instead of just giving to the bride-to-be. Our designs can be personalized making it even easier to invite family, friends, neighbours, and colleagues. Simply change the text, style, font and colour before you choose the perfect paper style and finish. All invites come with a plain white envelope. 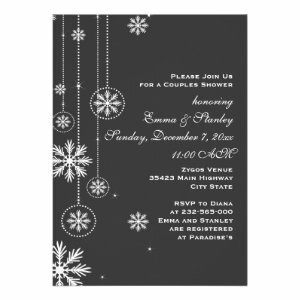 Enjoy the perfect wedding shower with one of our Winter Couples Wedding Shower Invitations.